Esther Buffler came to poetry later in life from a long career in storytelling and professional theater. She devoted the last 25 years of her life to writing, teaching and sharing her talents in New Hampshire. She staged a touring production about American women poets, was a poet in residence at star island and promoted poetry in local schools. She published five collections of poetry including Only Now. She produced the audio CD compilation “High on Poetry with Esther Buffler and Friends” highlighting the best of the Portsmouth Poet Laureate Program of 1998. Her last book, It’s All Ahead, is published by Phineas Press and is available at RiverRun book store. 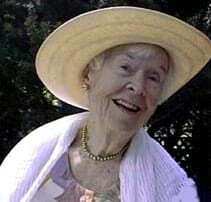 Esther died in August, 2002 at the age of 93. Currently a fund in her memory supports an annual poetry residence in the Portsmouth schools.